If you or a family member or friend has been diagnosed with Legionnaires’ disease due to the negligence of others, consider taking legal action. 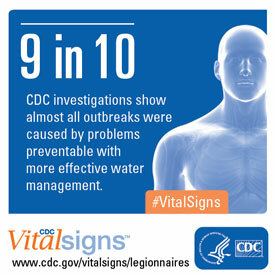 Legionnaires’ disease is completely preventable. When Legionella bacteria colonize or multiply to the point that they cause infection to humans, it is usually the result of substandard water quality efforts and/or a lack of appropriate sanitation. Legionnaires’ disease outbreaks have occurred at hotels, hospitals, nursing homes and many other institutions.